In the absence of a new Z-Series device, Motorola's new Moto G7 and G7 Plus look set to lead the brand's 2019 lineup - and they're available for pre-order in Australia from today. 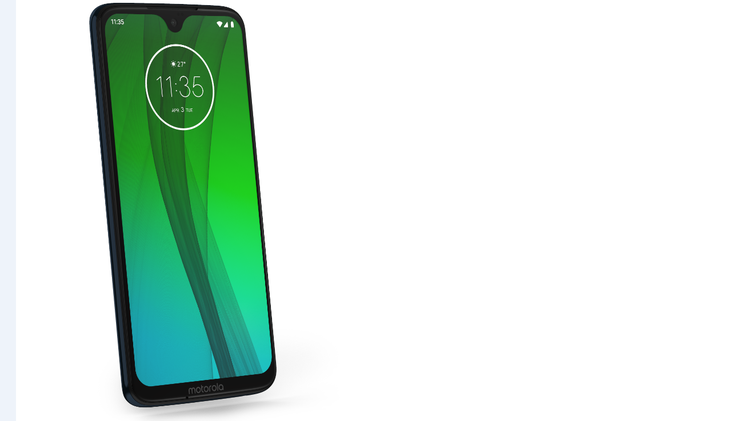 Danny Adamopoulos, GM of Sales for APAC Motorola, says “we are excited to continue the moto g family legacy with the widely anticipated launch of the moto g7 range of devices in Australia." “This is the first of many exciting announcements we have to share with our Australian customers. We will have more to share in the weeks to come,” Danny said. The Moto G7 boasts a 6.2-inch Full HD+ "Max Vision" display with a teardrop notch, a Snapdragon 632 processor, 4GB of RAM, 64GB of on-board storage (expandable via MicroSD), 3000mAh battery and Dual SIM connectivity. There's also a fingerprint sensor and a dual-lens (12-megapixel + 5-megapixel) camera system on the back. The Moto G7 is a natural upgrade, thanks to a Snapdragon 636 processor and Dolby Audio tuned stereo speakers. It also touts an improved dual lens camera (16-megapixel + 8-megapixel) that incorporates optical image stablisation. Like previous Moto G devices, the G7 and G7 Plus look to offer a pretty friendly set of specs and an even friendlier pricetag. Look for to our full review in the near future. The Moto G7 and Moto G7 Plus are available for pre-order from today, either online through select channels and in-store from Thursday, 11th April through Officeworks, The Good Guys and Mobileciti. The Moto G7 has an Australian RRP of $399. The Moto G7 Plus has an RRP of $499.